Francis Bruguière, after an early Pictorialist phase, became an important influence on American avant-garde photography. The trend toward photographic abstraction that emerged in the 1920s is illustrated in this photographic still-life. Bruguière experimented with multiple exposures, solarization, and the cut-paper abstractions for which he is so well known. His photographs of cut-paper designs, although not photograms, evolved out of experiments with using light alone to create abstract photographic forms. 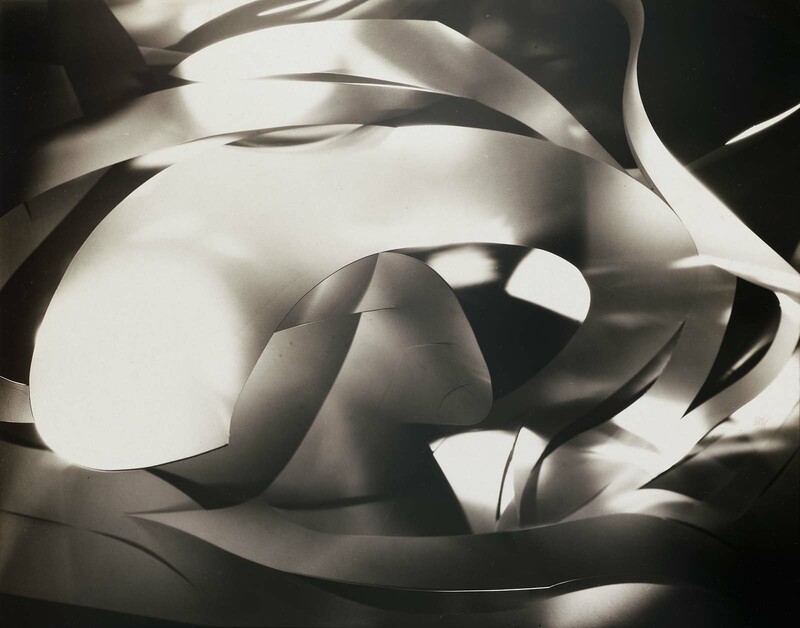 In this image, the cutout is photographed in strong, dramatic light, making its elaborate and graceful curves appear as a complex intertwining of light and shadow. Robert Miller Gallery, New York; purchased November 1986.